The Dueler H/P delivers sports car-like handling that allows you to unleash the performance potential of your light truck or SUV. With UNI-T technology applied to the two 20" sizes, the Dueler H/P offers you exceptional handling in wet or dry driving conditions. UNI-T AQ technology in all other sizes lets you count on wet performance excellence even as the tyres wears. Wet braking, wet handling, and noise minimization are all exceptional features of our Dueler H/P, engineered to please drivers with an active lifestyle. 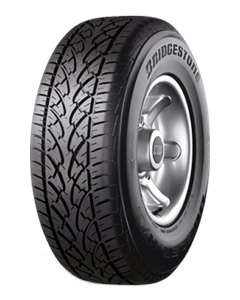 Sorry, we currently do not have any tyres with the Dueler H/P 680 pattern in stock.